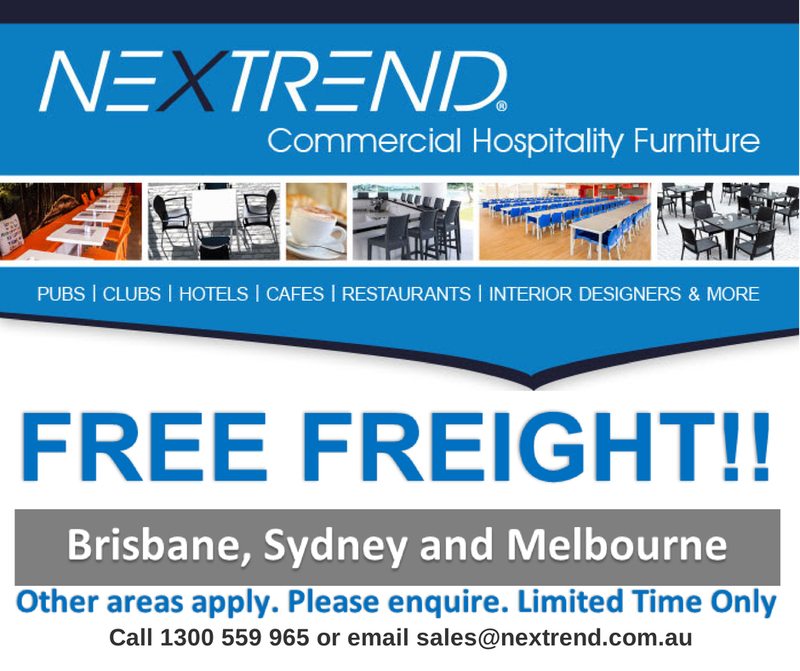 Nextrend Furniture offers another opportunity to save on your new commercial furniture. Getting a makeover for your business establishment has never been this easy and affordable! Simply choose from our wide range of hospitality furniture and request for a free quote. We are currently offering free freight for deliveries to Brisbane, Sydney, and Melbourne, so you can get huge additional savings for your furniture makeover. To avoid huge cash-out costs, you may even purchase your furniture under our Rent-Try-Buy program. We keep large stocks ready for immediate dispatch to make sure that we can provide quick delivery of the furniture that you want. So what are you waiting for? Grab the chance to save on freight! Other areas also apply so make sure to enquire by sending us an email at sales@nextrend.com.au or calling 1300 559 965.